﻿Our mission is to empower YOUTh through sports, build future leaders with great character and teach them how to be successful in life. YAC provides academic assistance for its members through tutoring programs, leadership training and college test preparation classes in a safe and positive learning environment. YAC provides high level training programs for its athletes to maximize their performance on the field and teach them how to compete at a high level in their sport. Our Elite coaches will teach new and effective ways to take your game to the next level. 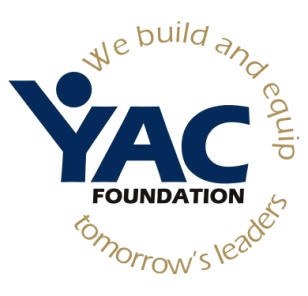 YAC provides mentoring programs and group fellowships that teach youth to be: self confident, purpose driven, leaders, role models and people of good moral character. YAC provides opportunities for its members to give back to their communities by doing outreach events and FREE sports programs that builds character, compassion and humility towards others who are in need. For more information on the programs listed above, visit the Programs page. Games will be on Saturday mornings from 9-12pm (for grades 1-8). ​Our Facility address is 380 Arneill Road, Camarillo. ​The cost is $120 per player and includes a YAC shirt for the games. Winter Classes begin Jan 5, 2019. The YAC Sports Academy will have its off season training programs in our Camarillo facility for athletes ages 10-18. Elite: 7th-12th grade on Mon, Tues, Thurs from 4:30-6pm & Saturdays from 11:30-1:30pm(incl football). Jr Elite: 3rd-6th grade on Monday and Wednesdays from 4-5:00pm. The performance program will be ongoing and will provide athletes with training to enhance speed, strength, flexibility, agility, confidence and performance on the field with our performance coaches. 805-312-8242. Click here to register now ! The YAC Cheer Academy is hosting its 6 week Spring session from March 19th thru April 23rd 2019. 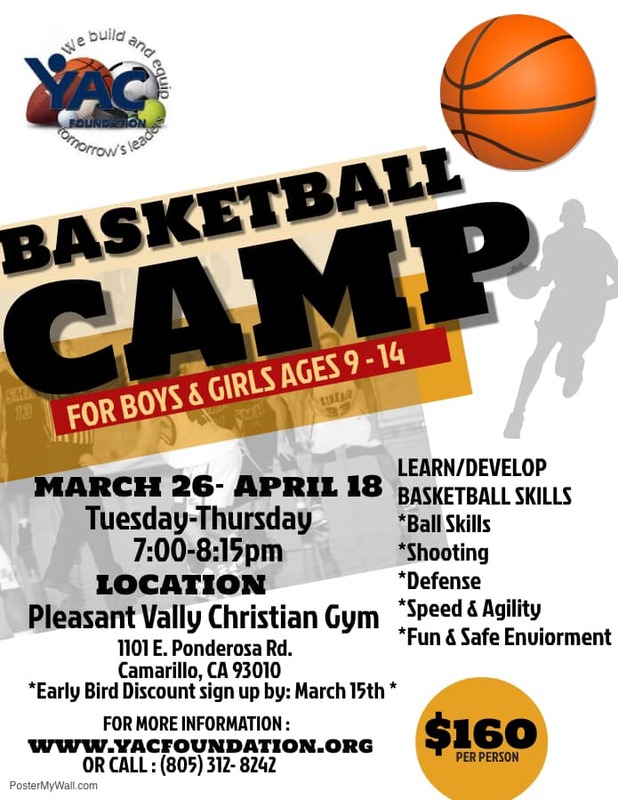 The YAC Sports Academy will host a Basketball class for youth ages 9-14. Players will learn and develop their basketball skills. Shooting, ball skills, defense, speed & agility in a fn & safe environment. Led by YAC Basketball Coach Donnie Alexander who brings over 15 years of experience at the youth and high school levels. YAC is offering classes on Tuesday and Thursday evenings from 7:00- 8:15pm at the PVC Gym located at 1101 E. Ponderosa Road in Camarillo.